New Recipe Alert. 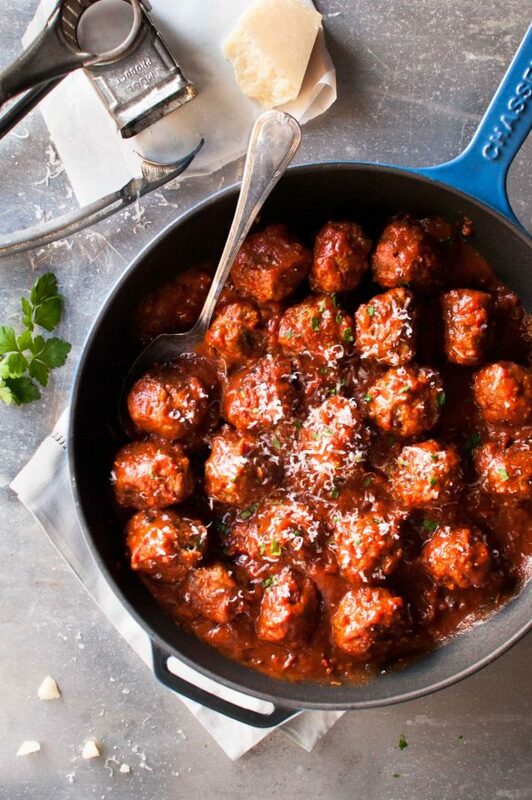 Check out this delicious recipe for Italian Turkey Meatballs. Serve over sautéed spinach or the vegetable or pasta substitute of your choice. Bon Appétit! In a large bowl, combine the “Bread-less crumbs”, eggs, onion, Parmesan cheese, basil, parsley, garlic, salt, and pepper. Using a wooden spoon, stir to blend. Add the ground turkey. Using fingers gently mix all the ingredients until thoroughly combined. Using your hands or a 1-ounce cookie scoop or a small ice cream scoop, form the meat mixture into approximately 12 balls. In a large pot over medium heat, add your tomato sauce. Simply drop your turkey meatballs into the sauce, making sure they are completely emerged in the tomato sauce. Cover the pot and let it simmer for 20-30 min. Stir to make sure that no meatballs are sticking to the bottom and to avoid burning. Serve over sautéed spinach or any veggie of your choice with grated Parmesan cheese alongside. You can serve with some “pasta alternative” but I prefer the freshness of the meatballs with a delicious vegetable side.